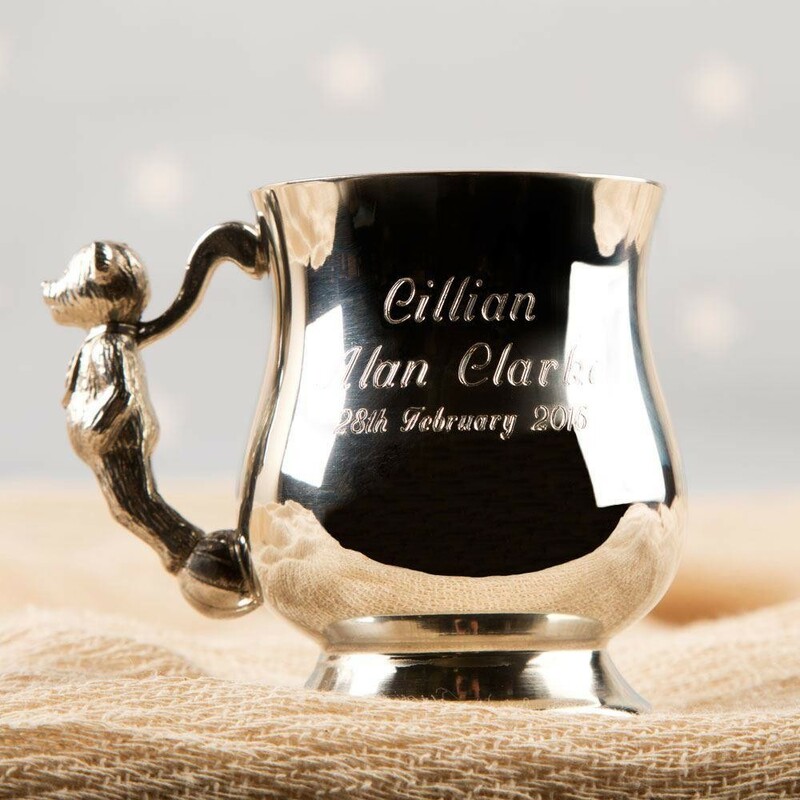 This traditional pewter teddy bear cup is the perfect keepsake gift for a baby's special occasion – especially a Baptism or Christening. 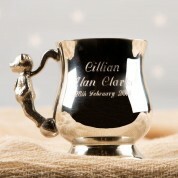 The cute cup features a teddy bear as the handle, and is engraved with your own personal message or the baby's details. 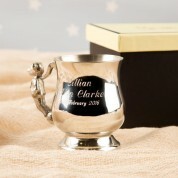 The engraving turns it in to a great memento of their big day. With its timeless design and quality, it will sit well on display in the baby's nursery. A presentation box and velvet pouch is included with the gift. 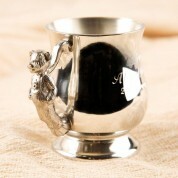 You're reviewing: Engraved Georgian Pewter Teddy Cup. Gift Boxed.